In Canterbury, hemp is treated as just another arable crop. Well almost, writes Heather Chalmers. Midlands Seeds director Andrew Davidson, left, and field agronomist Brent Middleton: hemp varieties are bred for seed production, fibre, or are dual purpose. Commercial growing of industrial hemp is about to step up another level. Law changes expected later this year will allow hemp seed to be sold as a food in New Zealand, in addition to the current hemp oil trade. This will open up new sources of income and markets for the crop, potentially tripling plantings in the next few years. While hemp enthusiasts tout it as the next wonder plant, arable farmers in Mid-Canterbury – where it has been grown for the last 17 years – take a more pragmatic approach. For them it's just another crop in their planting rotation. Harvesting hemp seed with a combine harvester. Well, as much as is possible when hemp grown in a paddock looks identical to its illegal cousin, the recreational drug marijuana, but without the THC euphoric-high effects. Both are part of the cannabis sativa family. Because of this some extra precautions are required, such as not planting crops where they can be seen from the road, to avoid unwanted attention. Leading the development of hemp seed production and treating it like any other of its portfolio of commercial crops is Ashburton-based Midlands Seed. 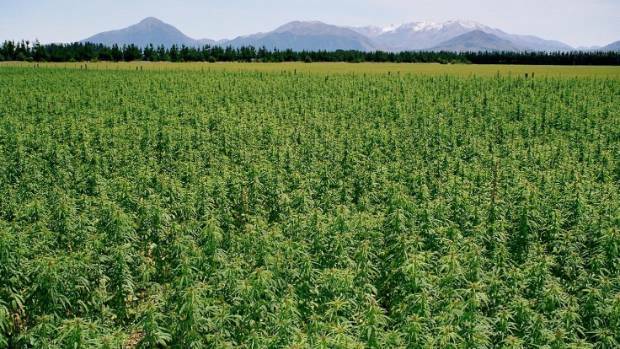 Midlands is by far New Zealand's biggest grower, contracting farmers to grow hemp for seed since 2001 when legal restrictions were first lifted. Expected law changes this year will allow the sale of hemp seed food products for human consumption. 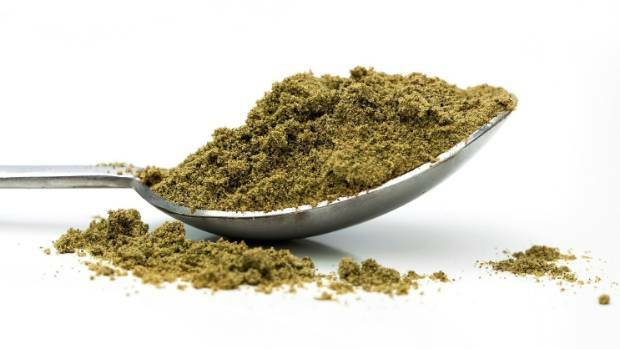 Midlands director and managing director of Midlands Nutritional Oils Andrew Davidson says indications are the required law change – allowing the sale of low-THC hemp seed food products for human consumption – will occur later this year, probably between July and October. "August is when we look to complete spring contracts, so July is better for us than November." 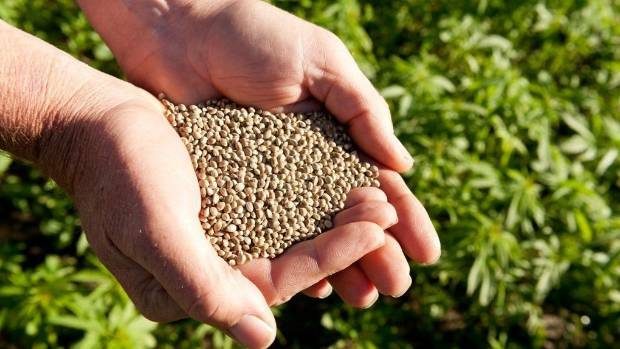 Once the law changes, New Zealand producers will not just be able to sell hemp oil, but the co-product hemp seed meal, which is 75 per cent of the whole seed and currently relegated for sale as an animal food. "So we are going from being able to sell 25 per cent of the raw material for human consumption to 100 per cent, so that is a big change. Hemp seeds have a growing global market worth around $1 billion. "Hemp crops could return $4000 a hectare, with a 120-day plant cycle and relatively low input costs." While the potential for growth is still relatively unknown, Davidson believes plantings can reach 1000 hectares, particularly in the South Island. "A lot of market research needs to be finalised before there is a significant increase in planting. "Using linseed as a comparable arable crop grown in Canterbury and utilised in the mainstream bakery and food trade, 1000ha is a realistic number in the South Island." Commercial hemp plantings may expand to 2000 hectares. At present 200 to 300ha of hemp is grown in New Zealand. While plantings by hobby hemp growers are scattered around the country, collectively these represent only a small area. 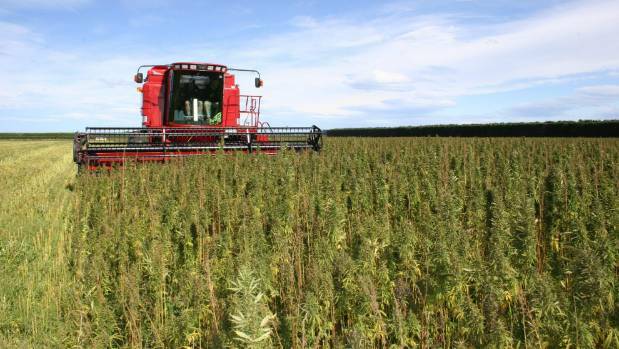 Initially growing 50ha to 100ha of hemp a year, Midlands now grows up to 200ha. It also has cropping interests in Tasmania, where for the last few years it has been growing similar areas. Law changes across the Tasman last November mean Australia is a year ahead, with plantings jumping both in Tasmania and on the mainland this season in anticipation of growing demand for hemp seed products. NZ Grain and Seed Trade Association general manager Thomas Chin says there is a fast growing global market for hemp seed. "For New Zealand there is an exciting potential for new jobs and exports – when the regulatory changes (to the Food Act, Misuse of Drugs Act and the Medicines Act) finally come through. "We could see as much as 2000ha of crop potentially generating for farmers a return of $4500 to $5500 a hectare in the medium to long term. "This should be great news for cropping farmers. It would give them an alternative high value broad-acre annual or rotation crop option and it could also boost investment in the infrastructure needed for the harvest, processing, storage and distribution of hemp seed. "Our climate and soils favour industrial hemp seed production and New Zealand has the added advantage of world leading agronomic research and cropping expertise in other seed crops such as ryegrass and clover," says Chin. It is important the law changes are made before the next sowing season, to prevent New Zealand growers being at a competitive disadvantage to their counterparts in Australia, where this has already occurred, he says. Hemp seeds have a growing global market worth around $1 billion and government estimates the law change in New Zealand will initially generate between $10 million and $20m in export revenue and create about 20 jobs. Midlands Nutritional Oils operates its own oil extraction plant in Ashburton, its range covering everything from evening primrose, borage, blackcurrant, walnut and avocado to linseed (flaxseed). It produces hemp oil, both wholesale and under its own "new hemisphere" brand. Law changes will also allow further processing of the seed crop into hemp food products including hemp flour, protein and hulled hemp seeds. Most oil is currently sold in New Zealand, says Davidson. "As we are currently only able to sell the oil for human consumption and the meal for animal nutrition, the price of our oil, relative to oils from around the world is high. Once we can obtain an increased return from the meal co-product, this will reduce our oil costs and make us more competitive globally. This will create export opportunities. "This is the key to going from 200 to 300ha to 1000ha in plantings." Hemp seed has many human health benefits, its oil one of nature's richest sources of essential fatty acids, including omega 6 and omega 3 in a naturally occurring 3:1 ratio. It also contains gamma linolenic acid, another healthy fat and an anti-inflammatory. Hemp protein is popular overseas in the body-building market as a high-protein alternative to genetically-modified products soy and whey. "Hulled seed is a convenient, nutritious snack food that is easy to incorporate into the diet and offers the benefit of both oil and protein properties." As well as some other smaller oil producers, companies are also investigating commercial uses of hemp fibre, made from the stalks of the plant and recognised as the strongest and most durable natural fibre known. This makes it suitable for apparel, accessories, upholstery and building construction. Davidson says the quality of the seed planted is very important, not just in terms of purity and germination, but also cultivar performance. "Midlands is actively involved in introducing new genetics and new varieties into New Zealand. Of the Ministry of Health approved cultivar list, most are ones Midlands have introduced." Midlands is also the first company in New Zealand to produce internationally-certified hemp seed. Hemp varieties are bred for seed production, fibre, or are dual purpose. Midlands works with hemp plant breeders from North America, predominantly Canada, as well as Europe. "If you look at the global history of hemp, Europe has been the home of the fibre industry whereas Canada in more recent years has been the home of the food and grain industry. "We want to establish the hemp industry with the same export credibility that the New Zealand seed industry already has in other areas and is renowned for. We want to apply all the same principals of market infrastructure, seed certification and crop registration. "This maximises the opportunity for local growers. It also takes away some of the complexity that obviously comes with growing a crop that is related to marijuana. "It can never be just like another crop, but if the industry is set up to a high standard regulators such as the Ministry of Health and MPI can be confident there aren't going to be complications. We will never be at a point where it will not be regulated. "Our focus is around genetics and agronomics to ensure we can get good returns for local growers, with competitive pricing. New Zealand is never going to be the cheapest, but we need to ensure we are not too far out of reach. In terms of marketing, we want to ensure that a high quality product becomes associated with New Zealand. "There are no illusions it will be a challenge to grow it beyond a cottage industry because of the scale and comparative cost of production in other growing regions of the world. "Hemp enthusiasts often cannot see past the opportunities and benefits of the product, but the reality of agriculture is that you have to compete globally and we have to find our niche. "If at least 50 per cent of product sold in Australia and New Zealand is locally grown this will be a successful outcome for us," says Davidson. Midlands is also working with a customer, who as well as buying hemp seed, wants to source the baled crop residue for its fibre qualities. "It's a new industry and at the exploratory stage, and for us it's an opportunity to provide additional returns for growers." Growers must pay a licence of $511 to grow hemp commercially, as well as pass a police check. Hemp has virtually zero amounts of THC, less than 0.35 per cent. 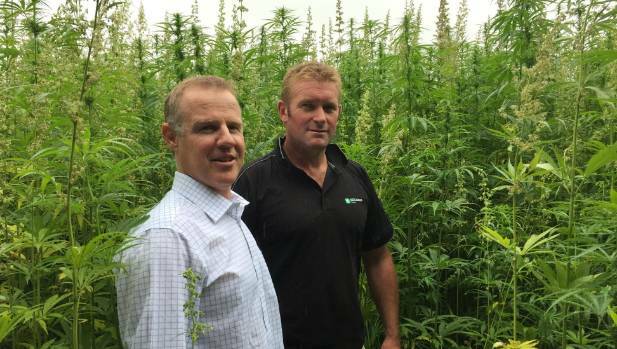 This season's plentiful hot days along with regular dollops of rain have produced optimal conditions for growth, with hemp crops reaching more than 2 metres tall, higher than Midlands would like. Midlands field agronomist Brent Middleton says hemp is a good break crop alternative to brassicas and peas and can be grown at more regular intervals than either of these alternatives. Typically sown in November, hemp seed does not contaminate following brassica or legume crops and it has a different irrigation pattern to other crops, spreading water requirements. As hemp is a tall plant, the heads are direct harvested with a combine harvester to collect the seed. The remainder of the standing crop is windrowed, then baled or burnt. As hemp plants have such a strong fibrous stem, crops are harvested slightly green when the plant is softer to avoid the rope-like fibre wrapping around and damaging machinery. The seed is then artificially dried to the required moisture content. "In earlier years we windrowed first, which created all sorts of issues, but with growers having good drying facilities we now harvest greener," says Middleton. Birds can also be an issue close to crop maturity. Hemp is a low-input crop, generally requiring no fungicides or pesticides. If required, Midlands has developed a suite of permitted agrichemicals that have no residues, an important issue for its oil end-use. Base fertiliser requirements are also minimal as too much soil fertility encourages tall growth which makes harvesting difficult. Crop failures tend to be the result of a poorly prepared stale seedbed, through insufficient time to adequately control weeds, or clotted soils. Establishment of adequate plant populations is important as the plant has one stem and doesn't tiller like ryegrass or wheat. At 15cm row spacings, plants compete for light, keeping stems thin.